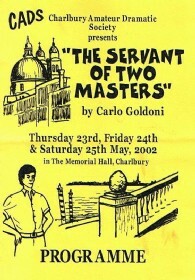 This is one of Goldoni's most popular comedies and has been successfully presented for over 200 years. 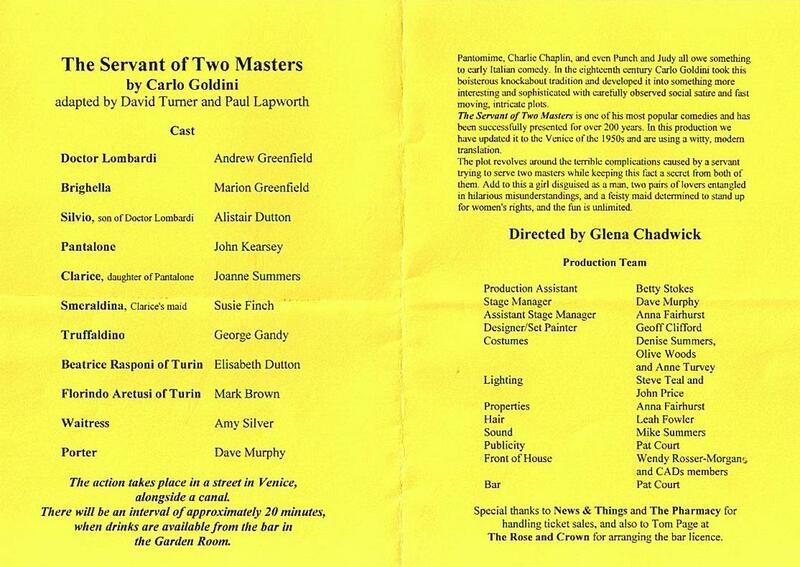 In this production we updated it to the Venice of the 1950's and used a witty modern translation. The plot revolves around the terrible complications caused by a servant trying to serve two masters while keeping this fact from both of them. Add to this a girl disguised as a man, two pairs of lovers entangled in hilarious misunderstandings, and a feisty maid determined to stand up for women's rights, and the fun is unlimited. 6 Photos. Click thumbnail images to enlarge.